That was it y’all! Yesterday’s post marks the finish line for NaBloPoMo. From now on I’ll be focusing solely on my schoolwork, and posting twice or thrice during the week. As for what’s been going on, not much other than Victor spending the whole night up sick. Which of course means all three of us were up too, and are now walking around zombie like and with bloodshot eyes. 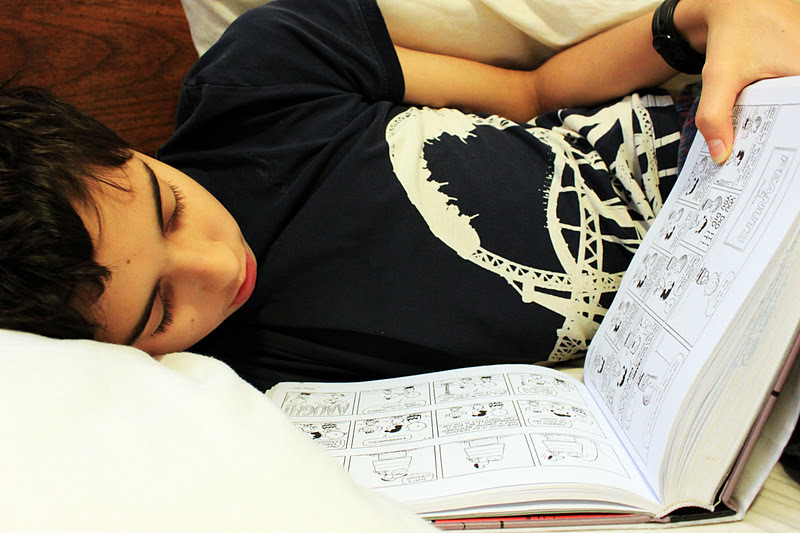 Hopefully he’ll be feeling like his silly self soon, but for now, Charlie Brown’s cheering him up some. (Yes, that’s possible). Speaking about Charlie Brown, the other day Victor came to me with one of his Lego creations. 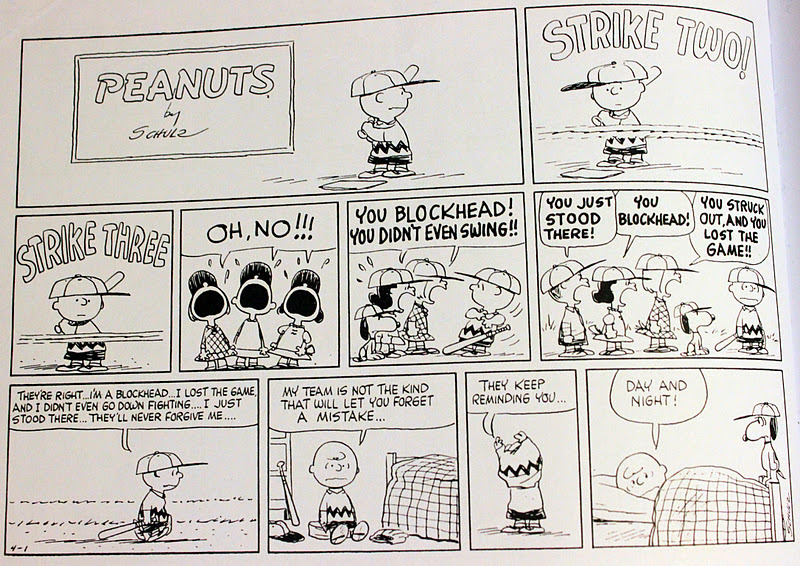 You see, in typical Lucy fashion, Lucy’s always calling Charlie Brown a blockhead. 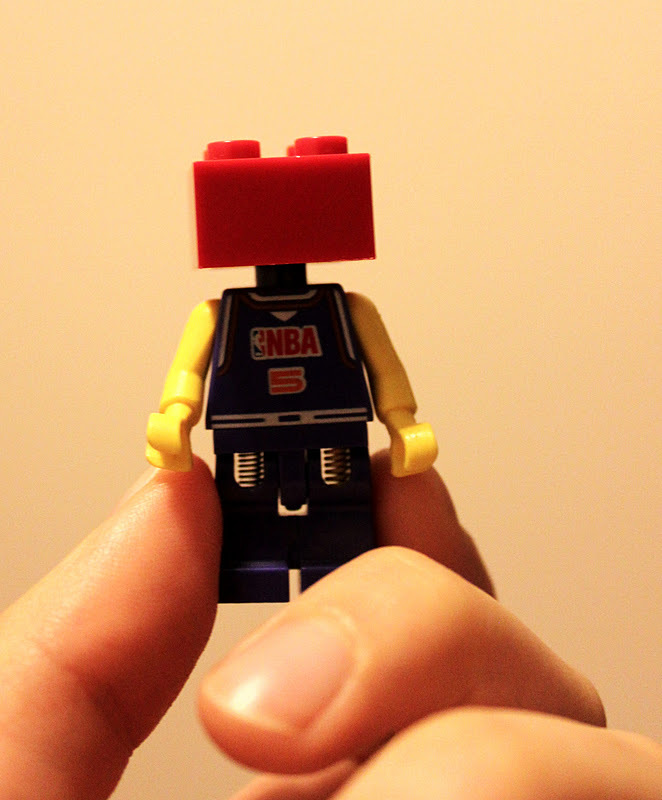 So Victor comes in with his version of a blockhead, because seriously, poor chuck isn’t all that bad. Previous Article Just Plain Wrong! Oh no. I hope your son feels better soon. My son is sick right now too. It is the worst!